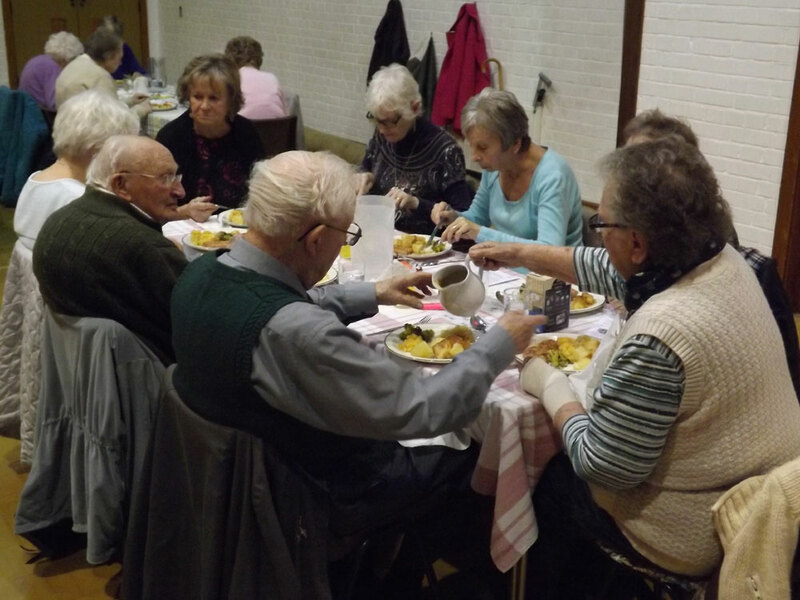 Around 40 pensioners meet at United Church on Croft Road every Wednesday to socialise over a hot meal. 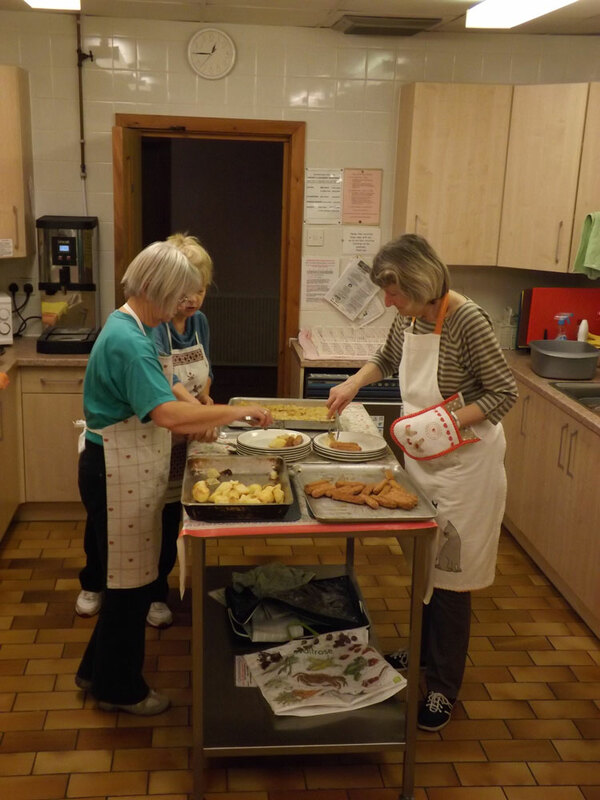 However in the New Year the Lunch Club could be forced to run only on alternatives weeks if additional helpers are not found for the kitchen. The Lunch Club, which is in its 21st year, is looking for volunteers to help shop for ingredients, prepare vegetables and cook. Up until Christmas, Sheila who used to run the Bricklayers Arms, has kindly agreed to cook every Wednesday to keep the Lunch Club going. However in January, it will be forced to only open twice a month if additional cooks are not found. 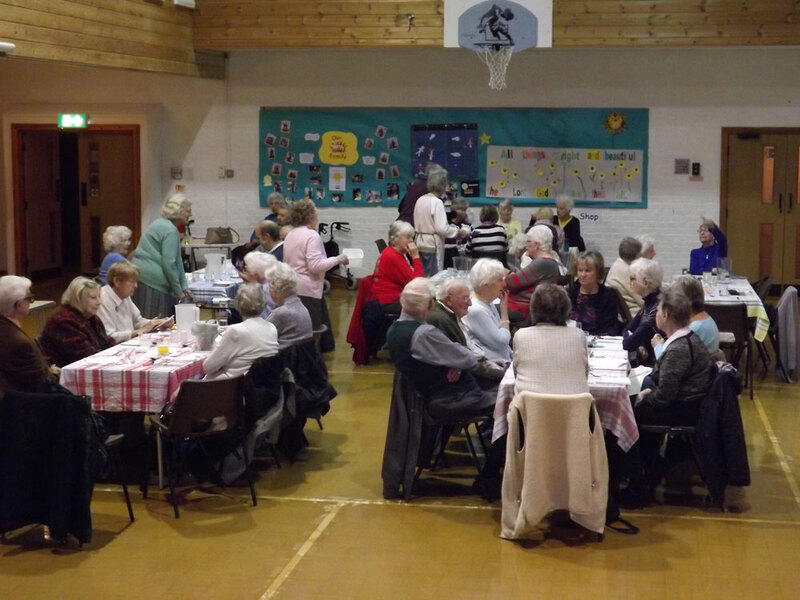 The club is social lifeline for many of the elderly people who attend. When you live on your own and you don’t get out, it s very good to come along here and have a chatter. It makes my day. People tend to arrive at about 11.30am and have a cup of tea and a biscuits. There is often a raffle and after lunch people can play bingo if they want to. We are looking for somebody who could cook every other Wednesday or once a month. There are quite a few helpers that come in. There’s usefully four in the kitchen who prepare the veg and help serve, but we need a main cook. The volunteers usually come in at about eight thirty to get started and finish around 2 o’clock. The people really enjoy coming here. Some say it is the highlight of their week. It would be a really shame if we have to stop. There is plenty of help and support available. There is a committee of members that meet up every 6-weeks or so to discuss meal ideas and plan recipes. If anyone is interested and would like further details of what involved please ring Mrs Maynard on 01892 662524.